Many humans have been writing in, asking how they can make their mobile phones more lobstery. Here's how. A simple cover and now everyone on the train or in the crowded bar will think you are chatting with a lobster. This will instantly put an end to all those "who were talking to on the phone" type conversations - suddenly it will be "I like your lobster!" and "Where can I get one?" Lobster phones are available from most good aquatic cellphone stockists. 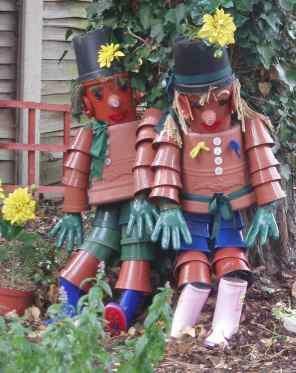 Flowerpot men are seen here guarding a local herb garden. Don't worry they are quite harmless and won't hurt you. These ones are especially good gardeners because they have green fingers. It looks like the warm weather will soon come to an end because they are wearing wellingtons. 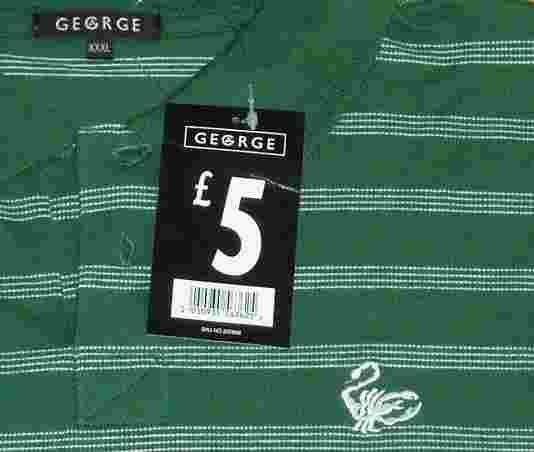 Lobster fans are advised that high street chain store ASDA-Walmart are openly selling fake lobster t-shirts. 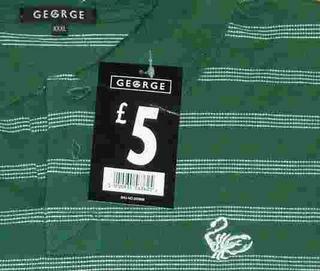 The t-shirts are actually "scorpion" ones - a land based creature which likes dry places like deserts. Lobster Blogster official merchandise can be bought from our online shop (when it's open).